Legal practitioner Ace Anan Ankomah has poured laudations on former Attorney-General Martin Amidu for his tenacity and perseverance which saw the Supreme Court order Waterville Holdings to return millions of Euros obtained illegally to the state. Mr. Ankomah believes that through his action, Mr. Amidu "...has won; not for himself, but for Ghana. In the process, he has put us all to shame." Read below the full opinion piece posted on Mr Ankomah's facebook page. The NDC government’s dismissal of Martin Amidu was Ghana’s gain. When the government thought that it had gotten rid of the irritating pain in its backside by firing Martin as Attorney-General, it only gave to Ghana, a reluctant hero and champion. I do not agree with all of Martin’s positions, which is natural. But I must applaud his dogged, fighting spirit. In the face of the blatant stealing of this nations’ monies by a cabal with obvious official participation and complicity, the shameful and reprehensible cheering and defence of the stealing (notably by persons working in the office of the then President, at least one of whom has now been rewarded with a Ministerial appointment), the appalling and inexcusable ‘interim’ non-investigation by EOCO, and the shocking and scandalous lack of interest in prosecuting the civil recovery and the crime (until recently, and I must commend the current AG for this), many of us could only speak and write. NOTE: To date, the government had taken absolutely no step to recover the monies paid to Waterville!! But Martin would not take all of that rubbish lying down. He took it a step further. He went to court against Waterville, Woyome and the Attorney-General, at his own expense. Today, I sat in court when the judgment was delivered. I left in awe of the man. Some of his claims were upheld and others were dismissed. Yet the court, without any equivocation or prevarication, was unanimous and undivided in its high praise and commendation of Martin and his vigilante role. I now turn to my summary of what I heard the court say. Waterville: the contracts entered into between the Government and Waterville, were unconstitutional since parliamentary approval was not obtained, in breach of article 181(5) of the Constitution for the international business transaction to which the Republic was a party. All payments made to Waterville (both after the consultants’ appraisal and after the alleged mediation) were therefore unconstitutional. They did not fall properly under the sparing circumstances under which a person whose contract is declared void for being in breach of the Constitution would be entitled to restitution. Waterville was ordered to refund all monies paid to if by the government, including the Euro 25 million paid to it by the government after mediation. Woyome: the court dismissed the claims/reliefs sought against him on the ground that they did not raise any constitutional interpretation/enforcement issues under article 181(5), which would have properly trigger its exclusive and special jurisdiction. The key question affecting Woyome, is whether or not there was a contract between the Government and Woyome at all. Indeed, in Woyome’s own Statement of Claim in his action at the High Court, he does not show any contractual basis for his claim. Thus a determination as to whether or not there was a contract or a cause of action at all, is one that should be determined by the High Court, as it did not involve any constitutional issue for interpretation or enforcement. Attorney-General: The court took note of the claims against the state’s legal representatives for their actions in the matter and stated that those claims, also, did not involve any constitutional issue for interpretation or enforcement, and as such dismissed them and advised the Plaintiff to pursue those claims before a High Court. Conduct of named lawyers (particularly for Waterville and Woyome): The court referred Martin’s claims against the lawyers in the matter to the Disciplinary Committee of the General Legal Council and stated that the Plaintiff may continue his complaint in that forum. It ordered the SC Registry to serve a copy of its judgment on the GLC for further action. His Lordship pulled no punches, barred no holds and took no prisoners when he excoriated the lawyers who acted in the matter, particularly for Waterville and Woyome. 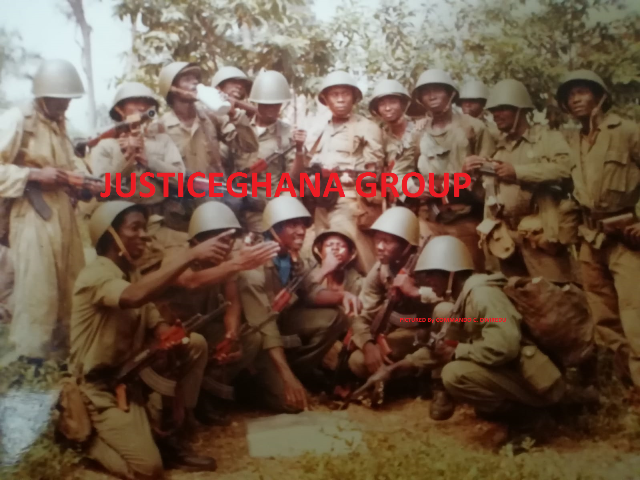 He stated that there was sufficient evidence (particularly the now famous Tetteh & Co. letter) that there was no contract to be enforced, but that Waterville and Woyome had an “alliance to create, loot and share” Ghana’s resources. He noted how Waterville and Woyome (using different lawyers) were first opposed to each other, then started acting together using the same lawyer (Waterville’s lawyer) to recover the monies they received, and then before the Supreme Court, that same lawyer now only appeared as Waterville’s lawyer. He stated that there was no sound legal basis for their claims, and that the lawyers should have known this and advised their clients, instead of leading them in the matter. Both Dr. Date-Bah and Dotse JJSC highly recommended Martin Amidu for his work. Dotse JSC pointed out that Martin has had to fight alone without any help, especially from civil society. My Conclusion: Martin has won; not for himself, but for Ghana. In the process, he has put us all to shame.